Lakefront. 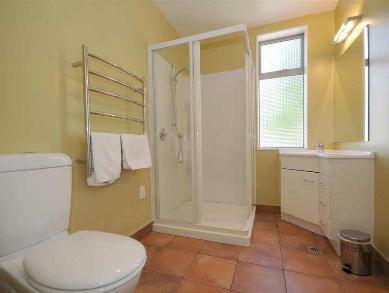 3-minute drive (10-minute walk) to town. 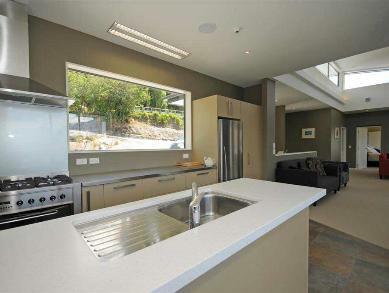 Spacious living / dining area. 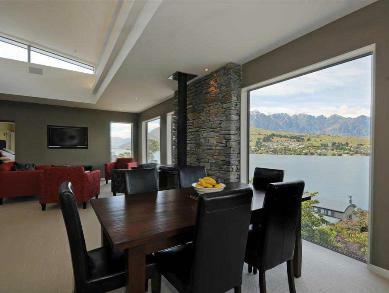 Tahuna House offers a range of room options from 1 to 4, each at different seasonal rates, (email to enquire for details) It is a house on the lakefront and an easy 15 minutes walk into central Queenstown or 5 min drive. 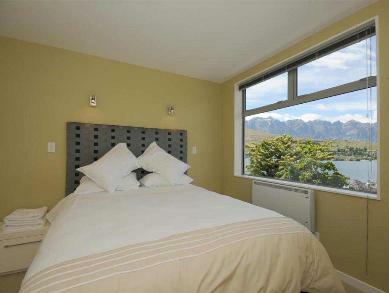 The Queenstown luxury lakeside accommodation has been designed to make your stay as relaxing and comfortable as possible. 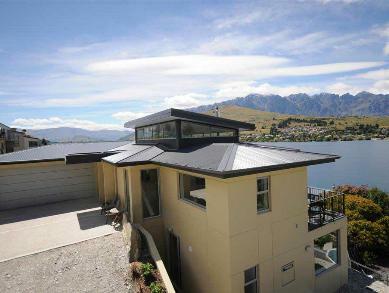 Tahuna House - 4.8 out of 5 based on 10 ratings. 4 guest reviews. 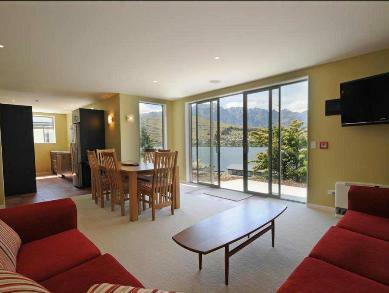 Tahuna House - Reviewed by Lyn from New Zealand in July 2014. 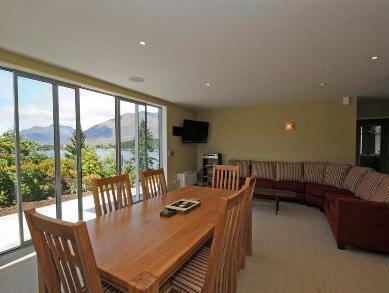 Tahuna House - Reviewed by Bronwyn from New Zealand in January 2012. 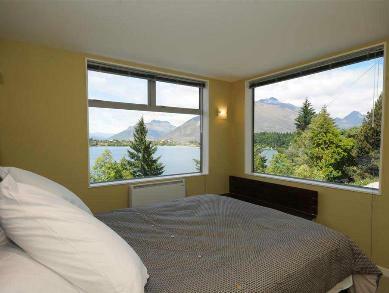 WOW what a beautiful home & view. 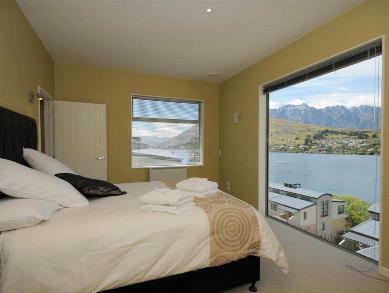 Would definately recommend to anyone wanting high quality family accommodation in Queenstown. 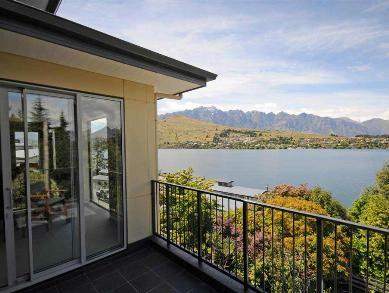 Tahuna House - Reviewed by Rob from Australia in September 2011. We will most definitely stay again. Thankyou! 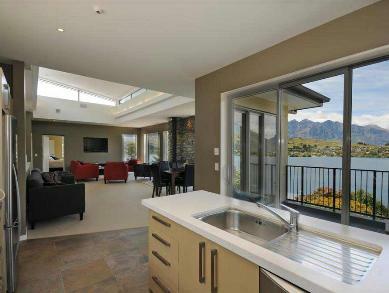 Tahuna House - Reviewed by Tania from New Zealand in March 2011. 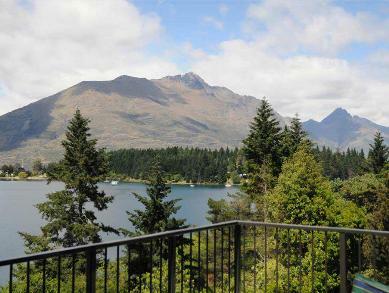 We had an awesome time staying at Tahuna House, the facilities were excellent, the views were awesome, and the fire was wonderful! 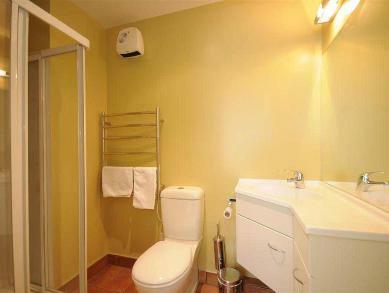 Nice and close to town... just ideal for what we needed. 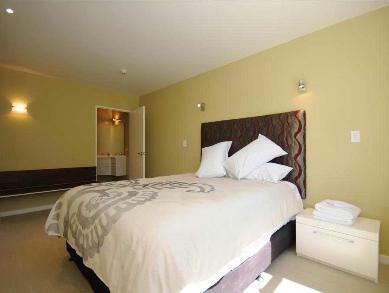 The bedrooms were all great too... I have no complaints! Thanks!! 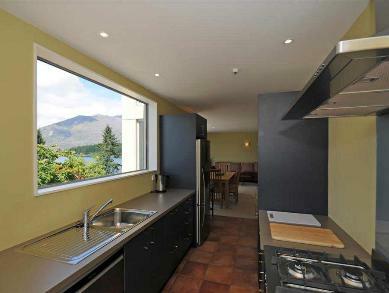 The house has two designer kitchens (one on each level), large flat screen TV's, in-built sound sytems, and all rooms are spacious with spectacular views. 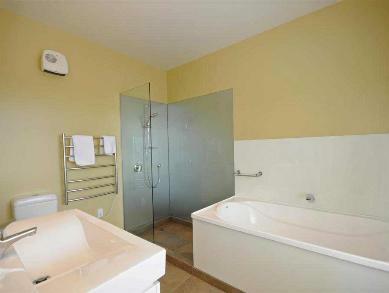 We have a minimum 5 day stay over Winter and the Xmas New Year period.